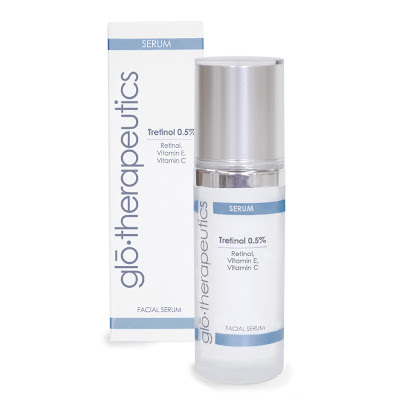 Tretinol 0.5% is an anhydrous retinol and antioxidant serum. It smooths the skin, reduces wrinkles and reduces hyperpigmentation creating a beautiful, luminous complexion. Key ingredients: All-Trans-Retinol is the key ingredient in Tretinol 0.5%. It very efficiently converts to Retinoic Acid in the skin so that more of it is absorbed. Since it is in an anyhdrous base, it is very stable. Both All-Trans-Retinol and the anhydrous delivery system are patented. Vitamin C and Vitamin E are strong antioxidants which brighten and protect the skin. Feeling: Experiencing this product is believing! Tretinol 0.5% applies like velvet and immediately smooths the surface of the skin. Notes: This is a strong product and skin sloughing is not unusual even after using it once or twice. Its potency makes it a great rejuvenation treatment for sluggish skin or a great prep for a chemical exfoliation treatment. Directions: Apply in the evening on clean skin. Start by using Tretinol 0.5% twice a week and increase as tolerated. For skin that can't tolerate use more than twice a week (or even less) occasional use is still beneficial. Recommended for: All but oily skin and sensitive skin.